Rosh Chodesh Av starts the annual period of mourning in the Jewish calendar before the fast of Tisha b’Av, the 9th of the month of Av, which commemorates the destruction of both the First and Second Temples and other catastrophic events that befell the Jewish people. With restrictions on live music, eating meat and drinking wine, there is a more somber mood this week in Jerusalem, Israel. This year, however, the World Cup final provided and excuse for some to hold large gatherings to watch the game: at the Tower of David, street cafes and many outdoor venues. This summer there is something new called Auto Ochel, food trucks in Valley of Hinnom. The restaurants featured this week provided dairy meals for the Nine Days. For this week, celebrations are limited, as for example, no Jewish weddings are held, in order to remember the destruction. 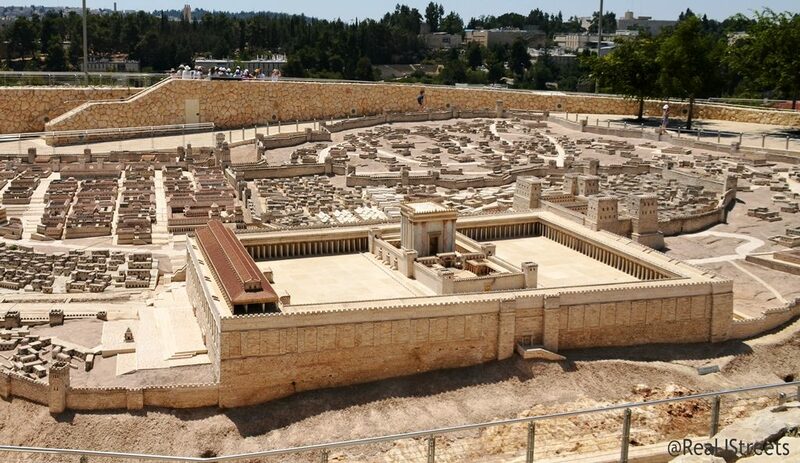 This model of the Second Temple stands outside at the Israel Museum. 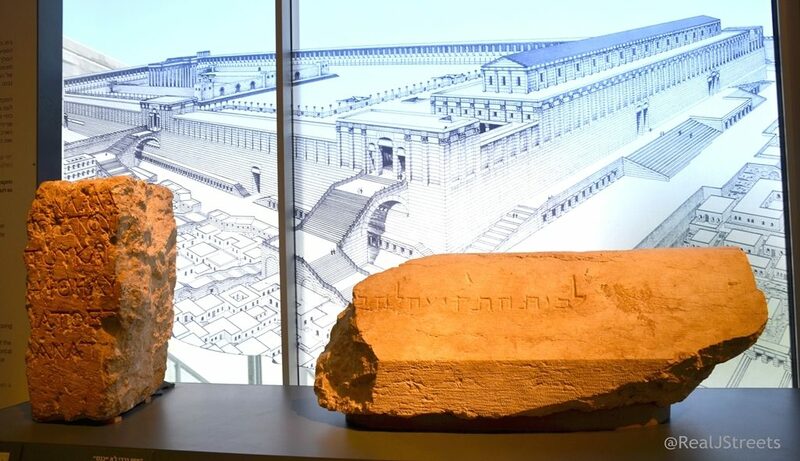 Inside the museum a stone salvaged from its destruction in Jerusalem so many centuries ago is on display. 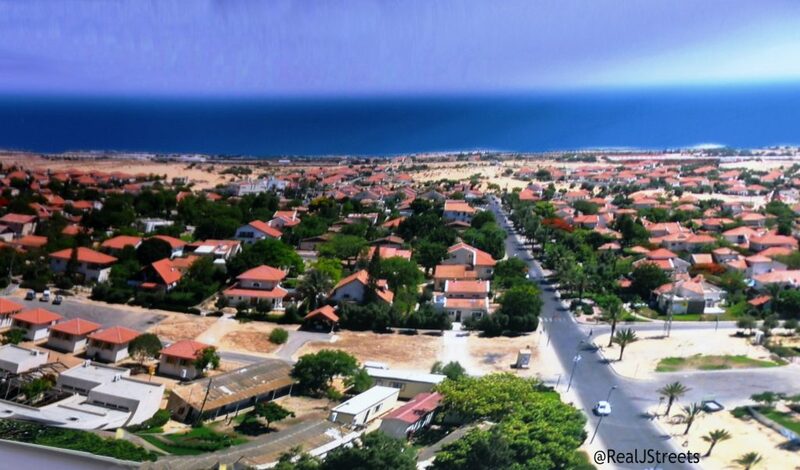 This time of year I remember the beautiful town of Yamit which was destroyed in 1981 in order to return every grain of sand in the Sinai peninsula back to Egypt as part of the peace treaty. 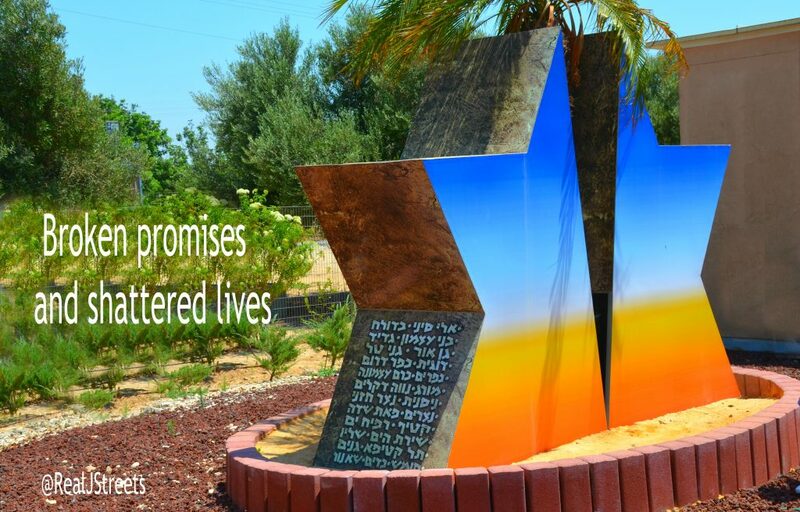 Thirteen years have passed since summer of destruction of Gush Katif. These beautiful homes were in one of the Israeli communities destroyed. We are no closer to the promised peace. Israeli fields have gone up in smoke over past three months. 7,400 acres were burnt. Today two incendiary balloons from Gaza landed in a nursery school playground. 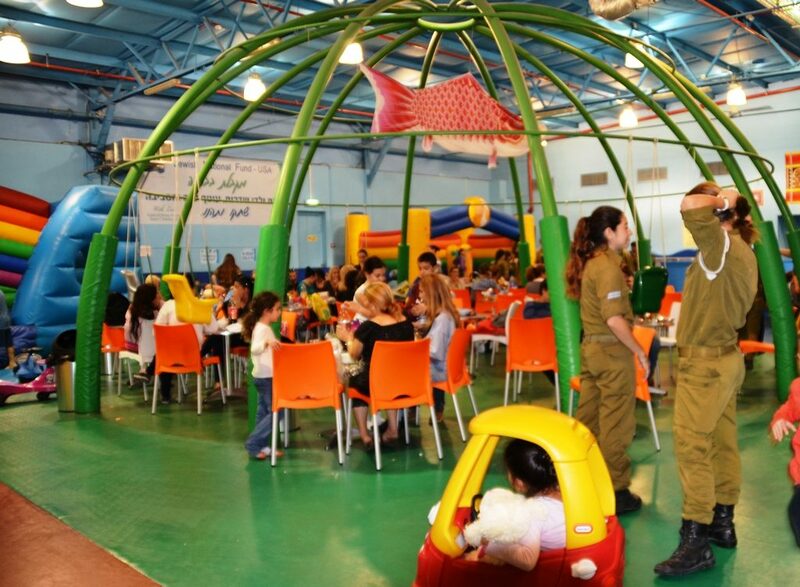 In this photo from Operation Pillar of Defense, November 2012, children in Sderot played inside the bomb-protected playground as missiles were launched at them from Gaza. 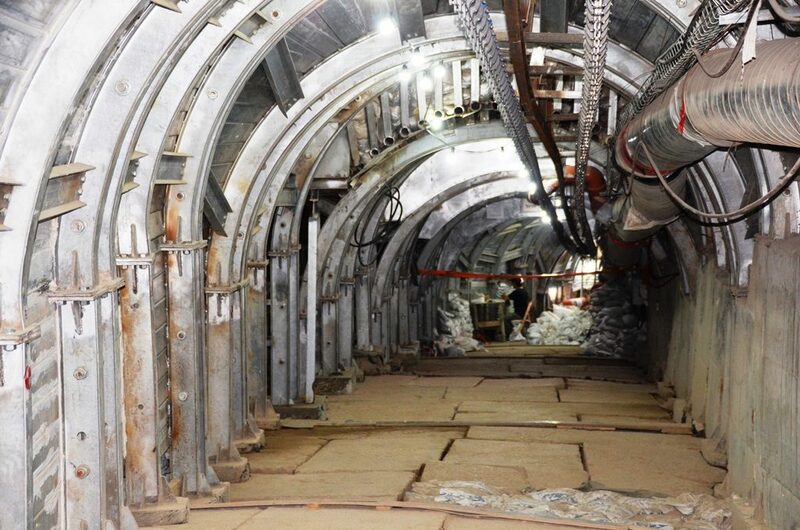 Who remembers the Truth about Gaza? Thousands of pilgrims walked up these steps to the Holy Temples of old. This week we remember the destruction in Jerusalem. 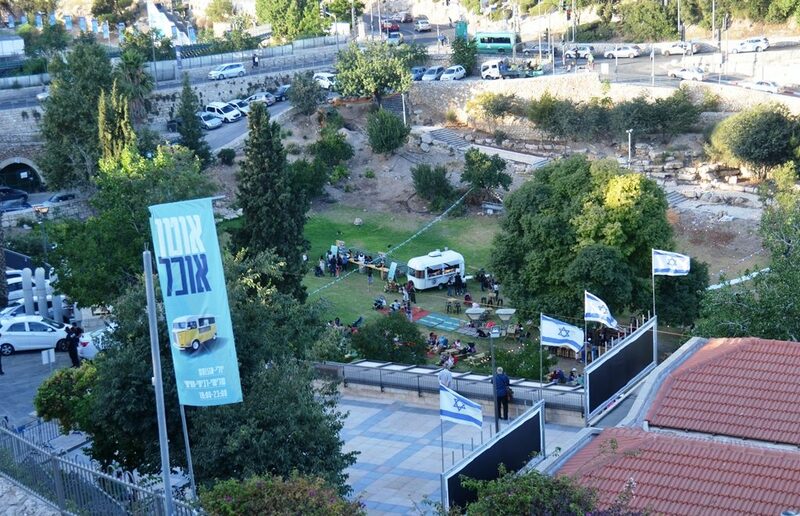 Ir David, City of David, is having a summer festival after Tisha B’Av, with camel rides and workshops. The 35 th Jerusalem Film Festival begins next week, followed by the annual Wine Festival at the Israel Museum. Next week we look forward to weddings, music and celebrations, and building new homes, with hope for the future.